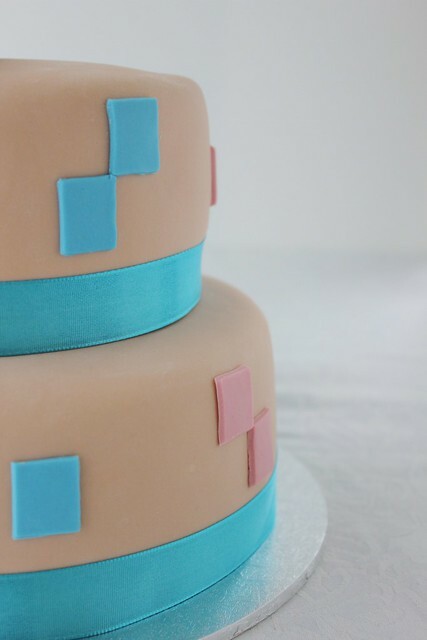 It's great when my baking life and study intertwine. 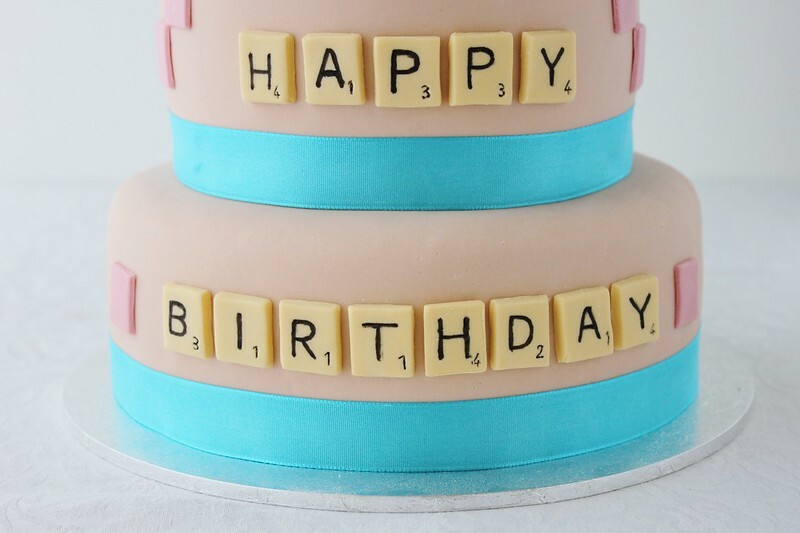 Like yesterday, for instance, I actually wrote this observation: "playdough with stuff sticking out the top means it is a birthday cake" clearly. I also got to do some baking with the children where they actually made their own individual cookie doughs. Was hard work to keep track of the consistencies (runny cookies anyone?) but in the end they each had their own cookies they made themselves! 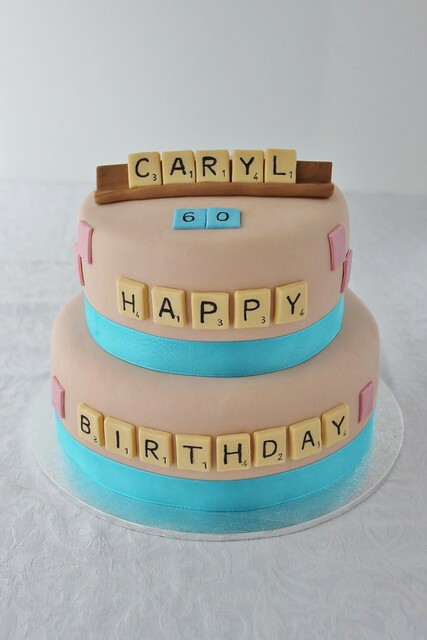 This cake was made for a friends mother-in-law who is a keen Scrabble player. I was given the invite and decided I liked it so much I'd use it as inspiration. 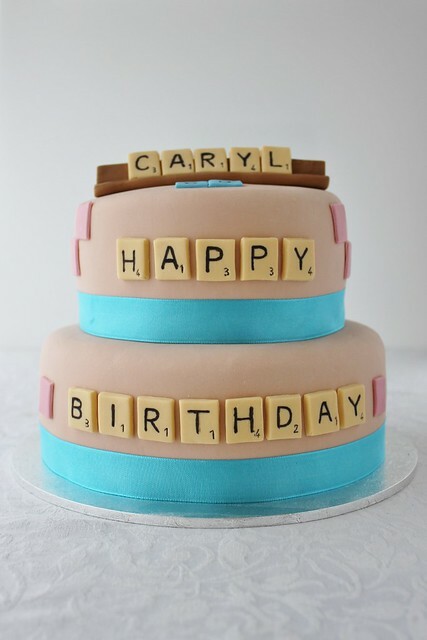 Once the Scrabble tiles were cut I simply used an edible black marker to write the letters and numbers on them. I also looked up each of the letters and what they were worth, didn't want to get that one wrong! 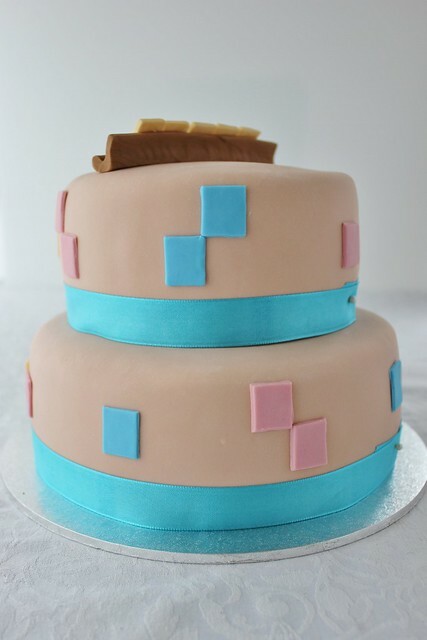 After placing a few random pink and blue tiles around the cake I finished it off with blue ribbon to match. 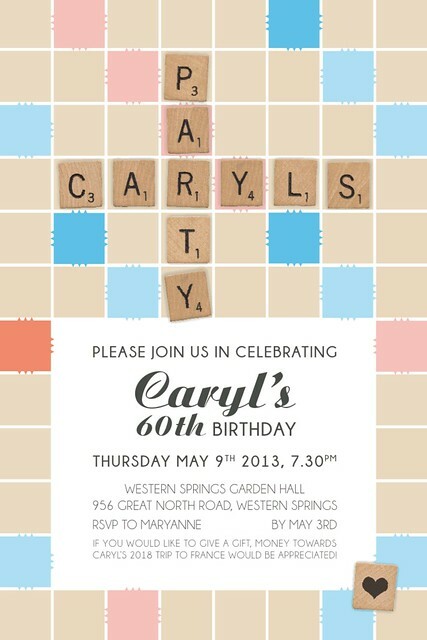 I love the simplicity of this design, I guess I can't take credit as I modelled it on the invite! 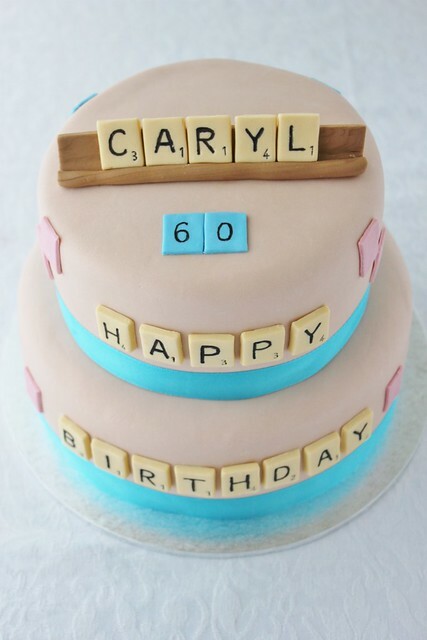 I'm a scrabble fan and this is fantastic! Great job.